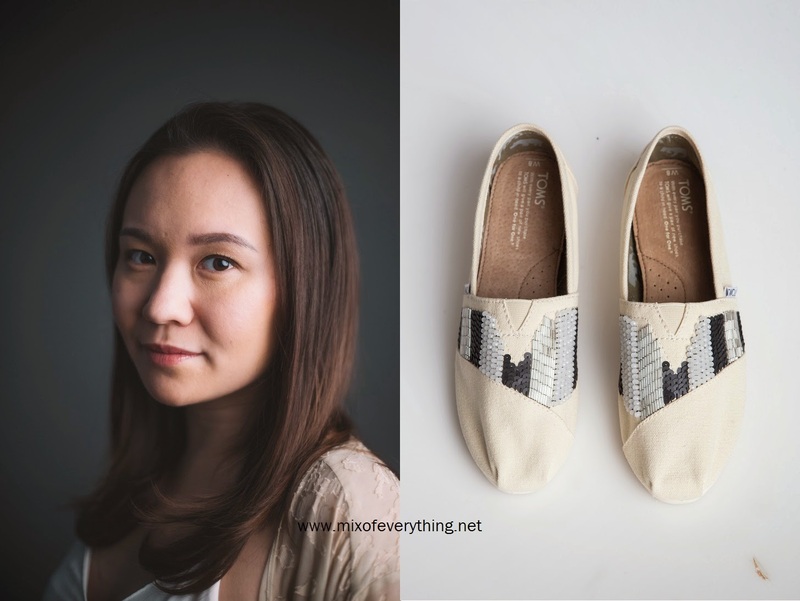 Strokes of Beauty Toms: Art of Giving - Hello! Welcome to my blog! 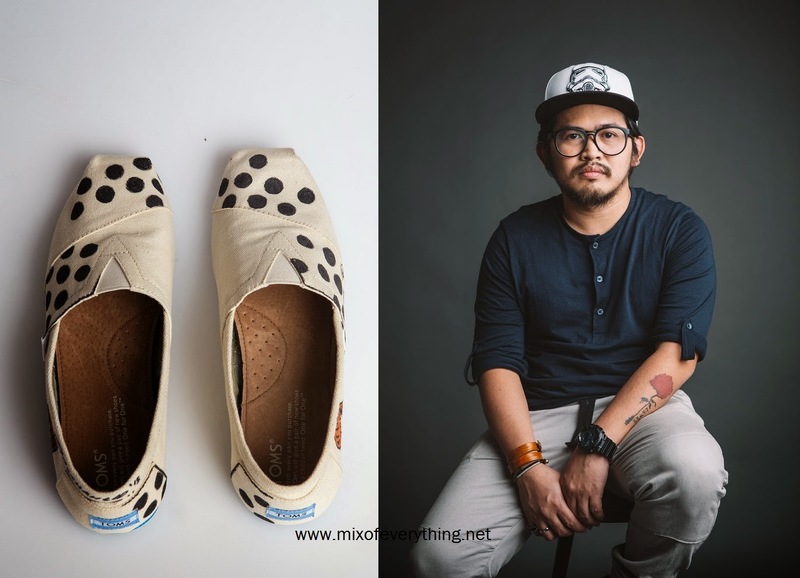 With their unwavering commitment to help improve lives, TOMS, a fashion brand that has been making waves globally through their ONE for ONE movement, wherein every product purchase helps a person in need, has invited a few of the country's most creative, young talents in the fashion, art and design industries to design a pair or two of TOMS shoes, in the spirit of an elevated TOMS Style Your Sole. 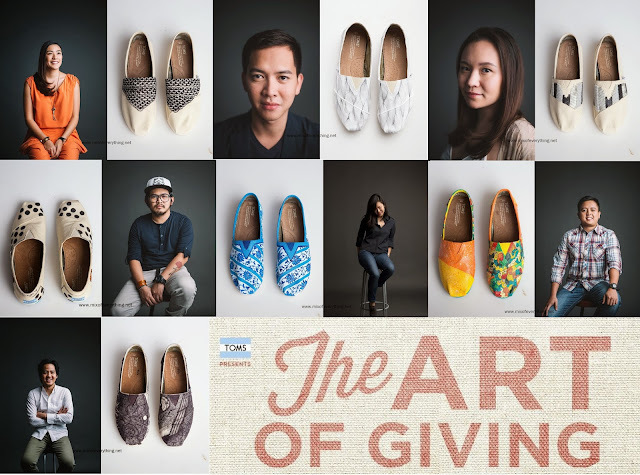 Aptly named The Art of Giving Gallery, these artists and designers customized shoes will then be displayed in TOMS’ newest store in SM Aura and auctioned to the highest bidder, proceeds of which will go to each artist's chosen charities. TOMS selected the partner artists because of their passion for their craft and their different backgrounds and aesthetic styles. 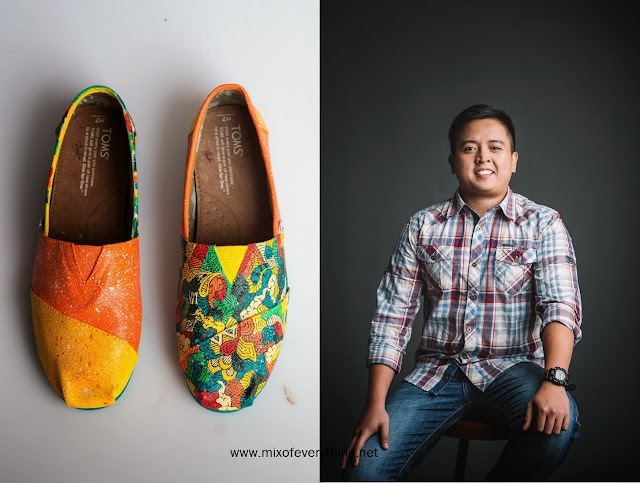 These artists’ shoes are a must-see showcase of artistry with a purpose, with the following as TOMS’ featured designers – David Bonifacio, Gil Ibe, Nicole Whisenhunt, Bambina Jacinto, NixAlañon, Carlo Ongchangco and Lilianna Manahan. Graphic artist, Gil Ibe, illustrated the 2 phases of a creative’s mind through intricate and out of the ordinary details on his designs. He fittingly called his pieces “Creative Block” and “Creative Burst”. Jewelry designer, Nicole Whisenhunt, displayed her expertise on beadwork by utilizing it on her designs aptly named “Disco Toes” and “Bellina.” Both Gil and Nicole chose to dedicate the proceeds from their works to PAWS. 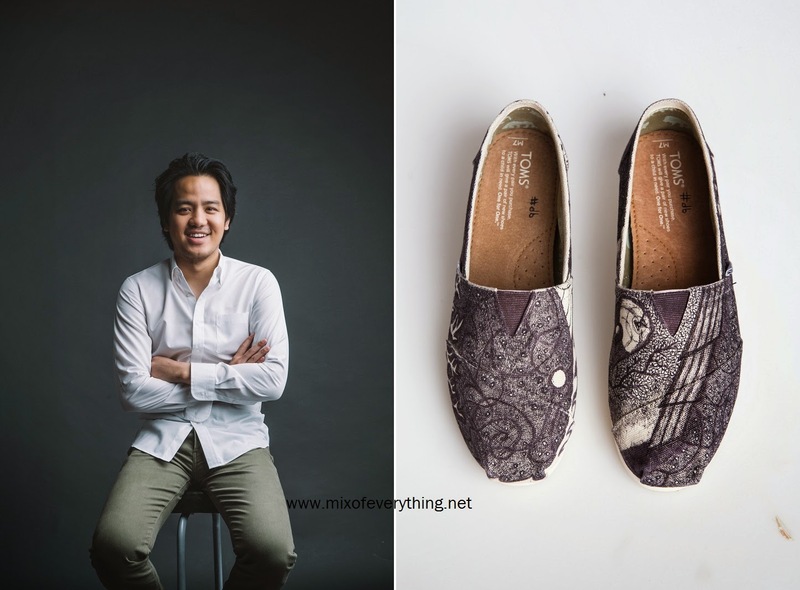 Artist David Bonifacio’s pairwhich he named “Escape”, featured his unique and interesting use of the gel pen on canvas as he used travel and escape as his inspiration, while artist, Carlo Ongchangco’s signature narrative style of art were on full display on his creations with the smiles of happy children receiving their own pair of TOMS as his inspiration on his 2 pairs named “Being Silly” and “Happy Life”. David and Carlo decided to support Real Life Foundation for their works. Designer Lilianna Manahan, with her background on furniture made use of patterns and details that were taken from the table top creatures she has been making and translated into embroidery. She called her pieces “Merchicken” and “Streak”.Shechose to give her proceeds to Fairplay for All. On the other hand, art curator Bambina Jacinto,made floral designs using blue and white china as inspiration – one that reminds her of fresh fruits, flowers and the beauty of summer. She named her works “Blue China” and “Full Bloom” which she dedicated to Cribs Foundation. Last but not the least, interior designer, Nix Alañon, used his favoritewood and stone finishes as inspirations on his designs. 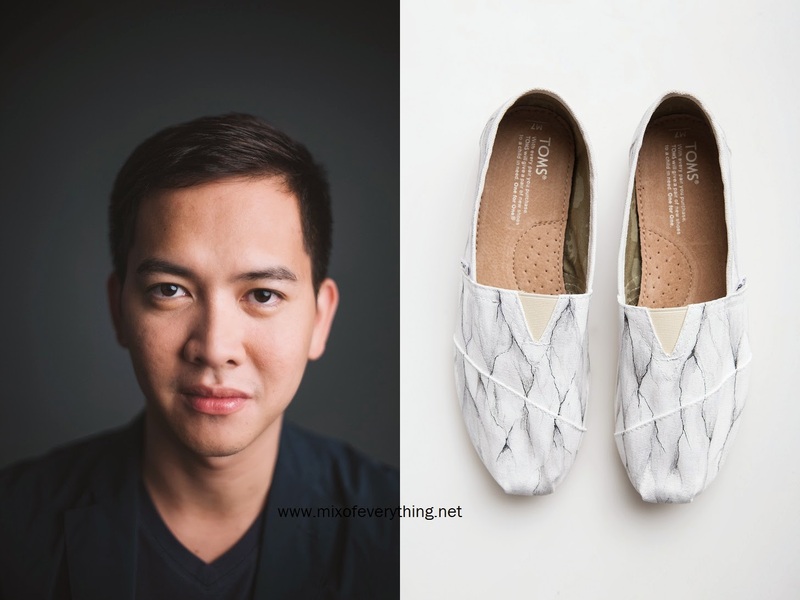 He named them “Marble-lous” and “Wooden shoe” with the proceeds going to TulayngKabataan Foundation. 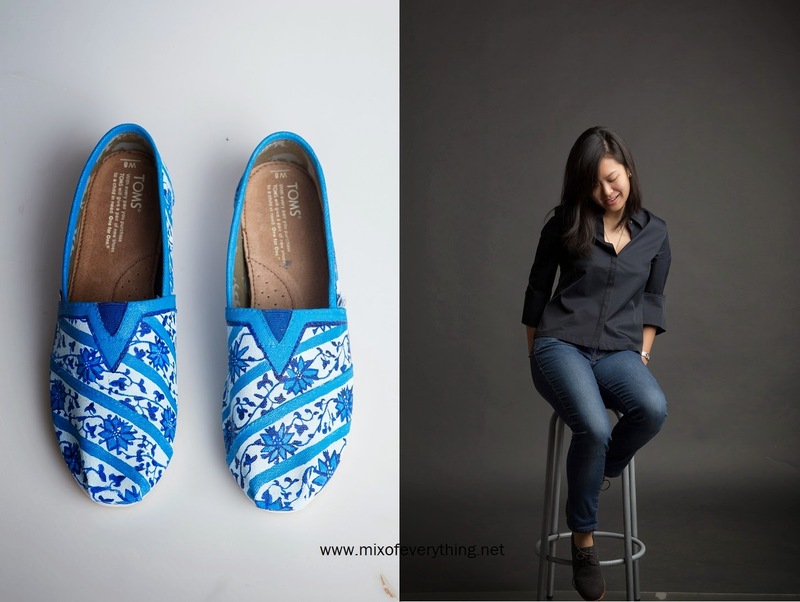 Through collaboration with these young and rising talents with contrasting styles, they have designed a seriesof TOMS shoes that reflect their creative inspirations. 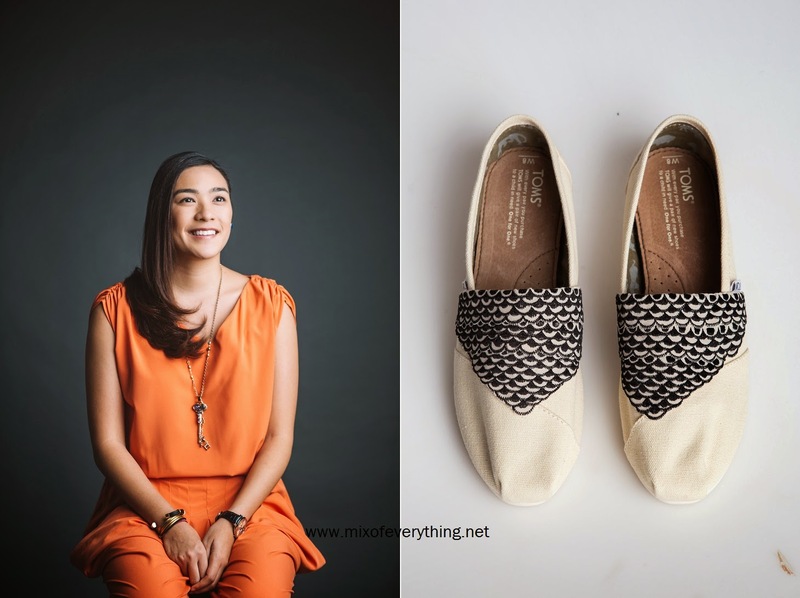 This showcase not only highlights the infinite design possibilities TOMS can have, it is also able to represent the active participation of the new generation in joining TOM’s One for One movement. Everyone is invited to come visit and celebrate the opening of TOMS’ newest store in SM Aura on April 30, 4:00 PM. The brand is also officially launching the TOMS Art of Giving Gallery and Auction where everyone can witness a showcase of the most beautiful TOMS creations by these contemporary artists. The gallery will be open until May 13, 2015, when the auction closes.